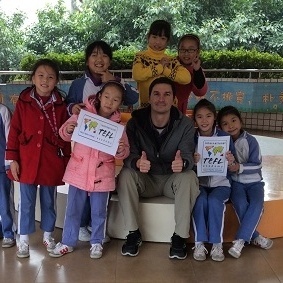 - Named Best Online TEFL Class By GoAbroad.com. 11 weeks part-time (typically 10-12 hours per week of work). 150 hours academic coursework + 20 hours of practicum (live practice teaching). Those who take the Optional Young Learner & Business English Modules will earn a 200-hour certification. More information on TEFL Course Dates. We recommend enrolling at least 2-3 weeks in advance. 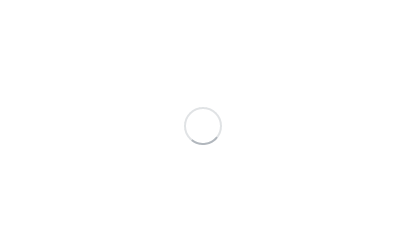 Technology Requirements: Computer or laptop (not including a tablet, IPad, cell phone); Internet Browser - Google Chrome or Mozilla Firefox; Microsoft Word or Word compatible program (not including Pages); PDF Reader; Ability to download, edit, save, and upload files; Access to consistent and reliable internet; Knowledge of the following terms: browser, PDF, Word doc, download, upload; Cable or DSL internet speed (dial-up is not acceptable). Take this Online Proficiency Quiz for a chance to navigate through the course platform! $ 1399 Check TEFL Course Dates & Tuition for current tuition discount offers. Optional 2-week bonus chapters (available at no extra cost): Young Learners & Business Professionals. Students who take the 30-hour bonus modules will earn a 200 Hour TEFL Certification. All students and graduates receive hands-on job placement assistance and lifetime, worldwide job search guidance from ITA's expert team of advisors. Students who have fully paid tuition are eligible to receive job search guidance during their class. Classes are capped at 20 students to ensure personal attention and maintain the highest standards of instruction. This course features live lectures, webinars & chats, however there is no required live time, and students can access recorded elements on the course website. The ITA Online TEFL Course is accredited by TQUK and awarded a Level 5 status by Ofqual (Office of Qualifications and Examinations Regulation regulates qualifications, examinations and assessments in England). Read more. 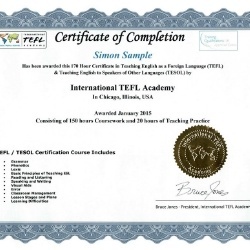 This certification will qualify you for full-time paid employment as an English teacher abroad. Read our Country Profiles to learn about the worldwide job markets for teaching English abroad. Please review our Registration Procedure and the Terms & Conditions prior to enrolling. You can pay your tuition & enroll for your course here. Must complete a phone interview & submit a written essay to verify your English skills. Read more. Please review TEFL class syllabus & TEFL course content. All of your course reading materials, assignments, and quizzes will be available to you online. However, you can purchase a copy of the textbook if you choose. Read more. Students 18 & under must submit a young teachers essay & speak to an ITA Admissions Advisor before enrolling in the Online course. Want More Information about Your 170-hour Online TEFL CLASS? Why Take Your TEFL Certification Course Online? Watch this quick video to get an overview of the content & structure of the 170-Hour Online TEFL Course. More than 5,000 students take this 170-hour Online TEFL Course each year, making it the most popular course offering for International TEFL Academy. This course comprises of 150 hours of interactive coursework with 20 students in a class and a 20 hour Practicum (ESL student teaching/observation requirement). 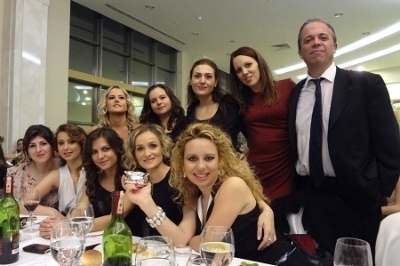 Graduates of this course are teaching English abroad in up to 80 countries worldwide and it is accredited & recognized as a professional "Level 5" TEFL course by Ofqual, Office of Qualifications and Examinations Regulation (United Kingdom's education regulation body), which is the same level of accreditation enjoyed by our ITA operated 4-week classes, including CELTA. This online TEFL class also provides a recognized qualification for teaching English online. The ability to earn a TEFL/TESOL certification on a part-time schedule appeals to those students who wish to continue working or going to school while completing their training. Aside from being able to continue with work, the Online TEFL Course enables students to afford the highest quality of TEFL/TESOL training at the professional certification level at a cost that is considerably lower than a comparable 4-week in-person class. Lifetime job guidance assistance, including personal assistance from expert advisors and referrals to top schools and recruiters. Note: Students do begin receiving job search guidance during the class you can begin interviewing and applying for positions while you are earning your certification. Internationally Accredited: This 170-hour course is officially accredited by TQUK, which is recognized as an official awarding body for TEFL certification by the British Government (Ofqual). This course is officially recognized as a Level 5 course (equivalent to a 4-week intensive in-person TEFL or CELTA class), which is recognized worldwide as a professional teaching credential. Course Duration & Structure: This is a part-time 11-week course that is specifically designed to accommodate those who are working or going to school full time. Read more about Course Content. High-Quality & Affordable TEFL/TESOL training option at a considerably lower cost than the 4-week in-person courses. Watch ITA graduate Tommy Joiner discuss taking his TEFL class online prior to teaching English in South Korea & later Colombia. Check out more Alumni Videos & Testimonials. This TEFL certification course has been specially designed to provide all course graduates with the tools to succeed as professional English teachers. 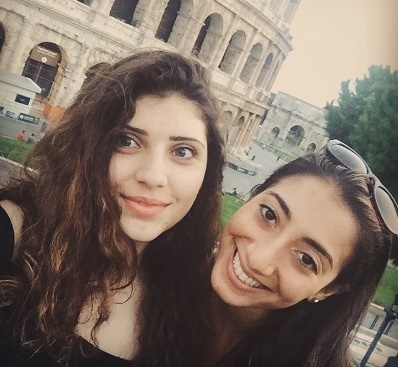 Like all ITA TEFL classes, this TEFL course is taught by highly experienced professors and includes live practice teaching with local ESL students. Below is a brief overview of what you will learn in this course. For a full, comprehensive overview including chapter breakdowns, sample test questions and lesson plans, and detailed practicum and thematic unit information, please check out our Online TEFL Course Overview page. To successfully complete an online TEFL / TESOL certification course, International TEFL Academy requires that each student complete 20 hours of practicum. The practicum is comprised of live practice teaching and observation; at least 6 hours must be spent teaching or tutoring actual ESL students. 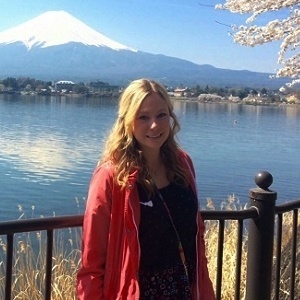 These practicum hours allow each student to gain first-hand experience working with real ESL students, whether it is in a live classroom setting, or by tutoring a non-native speaker privately. International TEFL Academy encourages our students to complete these hours while they are still enrolled in the course. For these reasons, completing the practicum hours during the course allows the student to immediately practice what they are learning in the online class. We do, however, automatically allow an additional 60 days after the course is finished to complete the practicum hours. All Online TEFL Course students have the option to take these 2 extra bonus modules, which are included with their tuition. These 2 modules add an additional 2 weeks to the academic coursework for the class and add 30 hours to the certification, increasing the total hours from 170 to 200 (standard professional TEFL certification is 120 hours). Get an inside look at the structure & content for ITA's 170-hour Online TEFL Class by downloading an in-depth PDF guide & receiving a guest password to the class website. 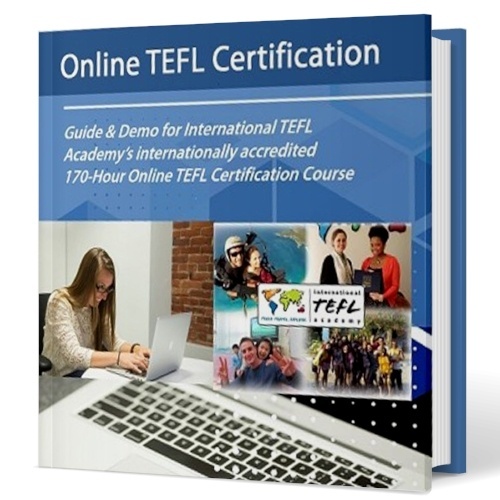 ITA's 170-hour Online TEFL Course is internationally accredited by TQUK & meets or exceeds internationally recognized standards for professional-level TEFL certification courses. Who teaches TEFL online certification lcasses? Are the Online Class accredited? How do I complete my practicum? Check out all of the top FAQs here! Check out Online TEFL Course Dates & Tuition, including the current discount. Classes begin every 2 weeks, but often fill 2-3 weeks in advance. Who Teaches International TEFL Academy's Online TEFL Certification Course? 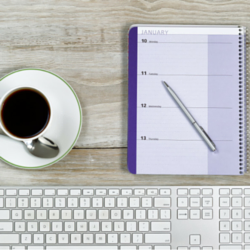 Online or Onsite - Which TEFL Certification Course is Right for You? 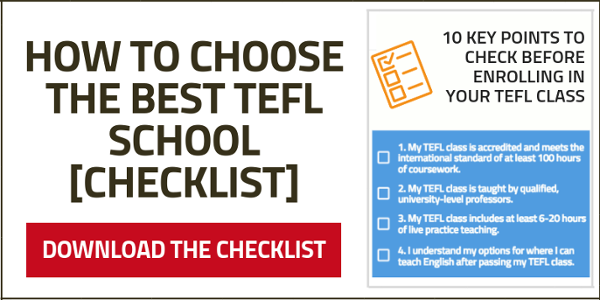 Can I Complete My Online TEFL Class in Less than 11 Weeks? Read More Online TEFL Class FAQs? 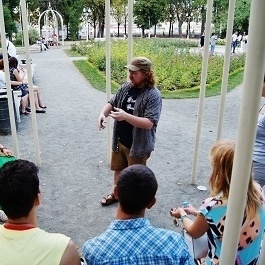 What are the Basic Requirements to Teach English Abroad?